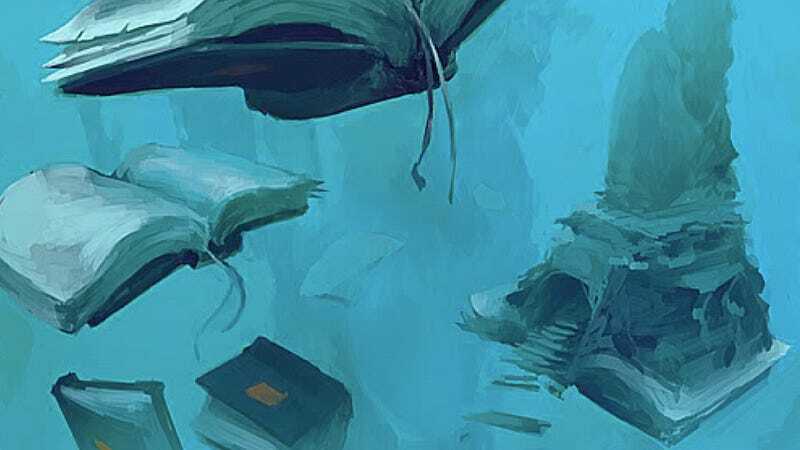 In 2011, many up-and-comers in the fantasy and science fiction publishing world finally got the widespread recognition they deserved, and established writers tried their hands at new genres. Our picks for the year's best books come from writers all over the globe, and from publishers both large and small. Here are our twelve standout books from 2011. Click any book title to order it online. Neal Stephenson's new novel Reamde seems like it could never work: it's an epic-length thriller packed with infodumps about obscure ideas and 200-page gun fights. But the book is fantastic. Stephenson stages a crazy narrative collision between Chinese virus-writing gamers, a millionaire videogame entrepreneur, Russian mafia, rural American anti-government "wack jobs," and a murderous Welsh terrorist. With those kinds of characters in play, and a lot of dry humor, Stephenson absolutely hits it out of the park. Not only is Reamde a terrific high tech thriller, but it's also a profoundly interesting take on what it means to be American in the twenty-first century. 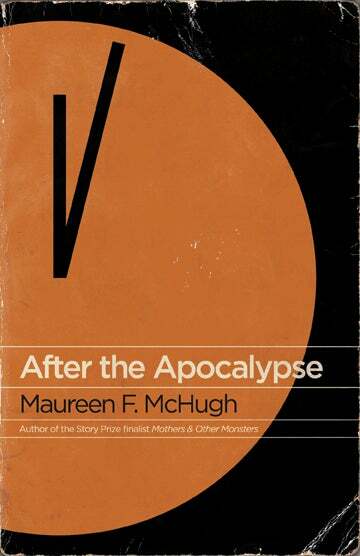 Maureen McHugh's latest short story collection, After the Apocalypse, is a dark look at what the next century might hold for ordinary people. Known for intense, character-driven work in novels like China Mountain Zhang and Nekropolis, McHugh makes even the most extraordinary circumstances feel as real as blood. These nine stories take place in a world that has been ravaged by prion diseases and economic collapse, even as it enters a new age of artificial intelligence and green biotech. You won't be able to forget the people you meet there. Unlike every other species with language, the Areikei don't distinguish between language and reality. To them, Language isn't symbolic - it is one with the things it describes. For this reason, they have no writing (too symbolic) and can't lie (that would be describing something that isn't). Also, they can only understand Language when it is spoken by a biological entity with thought behind it - because after all, Language, thought and reality are one. They can't understand Language synthesized by computers, which is a big problem since no single human can pronounce Language. The Ariekei, you see, have two mouths. Post-apocalyptic stories are chock full of wish-fulfillment. Rugged individualism holds sway. Every survivor is as special as Harry Potter, just by virtue of being alive. We get to rebuild this whole mess, without all that postmodern clutter. And so on. The most jarring thing about Colson Whitehead's novel Zone One might be how purposefully Whitehead goes about tearing these fantasies apart. Zone One is about the only thing worse than living through the apocalypse - taking part in a heroic effort to rebuild civilization afterwards. I do try to tackle the issues that make me angry in my fiction, from surveillance society to xenophobia to the divides between people and the evils of autotune. It's fantastical and it has magical animals and ghosts that communicate through cell phones and emails and crime and music and refugees and inner city slums, but at heart it's a book about guilt and the possibility of redemption. In the 2040s, energy resources and the economy in America have collapsed. The poor live in "stacks," vertical trailer parks outside cities where old mobile homes are piled on top of each other. A few lucky kids get to attend school online, in a virtual world called the OASIS that has replaced the Web with an ultra-fast, immersive 3D space . . . It's a grim world that Ernest Cline has created in his first novel, Ready Player One, and that's why his protagonist Wade Watts has hacked together some recycled computers so he can escape into the OASIS. But there's an escape hatch even more appealing than gaming. OASIS creator James Halliday has died, and his will stipulates that his massive fortune will go to the gamer who finds three "keys" that unlock an Easter Egg in his virtual world. Nobody can figure out where the first key is, until Wade, working alone in his unheated van at the bottom of the Oklahoma City stacks, figures it out. And that's when things in this fantastic page-turner get really get crazy. Dystopian but with a heart of gold, this novel is the perfect escape-from-reality book that is guaranteed to erase your feelings of boredom and depression, no matter how severe. For the most part. It's a brilliant, horrifying, depressing book that takes the characters Martin made you fall in love with, and plunges them just a little bit deeper into hell. It feels very much like a companion to A Feast for Crows, the previous book, in both bad ways and good ways. But most of all, it recharges your confidence that Martin is moving towards a conclusion to the lengthy saga. This definitive collection of Emshwiller's stories stretches back to the 1950s, and up through the early 2000s. One of the most incredible writers and thinkers in the genre, Emshwiller has been offering readers glimpses at strange alternate worlds for over half a century, and shows no sign of stopping. Famous for her novels Carmen Dog and The Mount, she also deserves recognition for her bold, weird stories, and this book is the perfect collection of short work during her brilliant career. [Rule 34 is] not so much a mystery as it is a sneakily Utopian vision of a world recovering from complete financial collapse - and giving birth to an unexpected form of life in the process. Tonally, Rule 34 is an oddly pleasing mix of Neuromancer and UK TV series Life on Mars. We roam the world via a sprawling police investigation that reveals how every high tech step forward is always propelled by old school thinking. Spam dildos printed with URLs may spew from 3D printers, and organized crime may use offshore call centers to deploy their operatives, but the same old human motivations are in play. Or are they? The world is full of retellings of the Brothers Grimm lately, but Lisa Goldstein's new novel The Uncertain Places makes the world of fairy tales feel like a living place, with a long history that intersects with our own world. The Grimms' stories are much stranger and darker than many people realize from looking at the Disneyfied versions, and Goldstein's novel reveals that even the original Grimm texts were censored by vengeful fairies. Untangling the truth about these perverse supernatural bargains, and making sense of the complicated relationship between the fairy realm and our world, requires major cunning and supreme detective work. Barry has made a career out of writing trenchant novels about the evils of capitalism and corporations that become like unto nation states, with books like Jennifer Government and The Company. But with Machine Man, he combines an evil corporation with another theme - our tendency to augment ourselves with technology. It starts with smart phones and ends with replacing most of our bodies with cybernetic spare parts - and Barry suggests that this technology may make us feel more free and independent at first, but eventually it'll make us the property of our corporate masters, unable even to move without their permission. Because technology can be taken away, or remote-controlled by those in power.